A superb example of the E-100 modified as a launch platform for the Rheintochter-1 missile. The E-100 was designed as a super heavy tank but never quite entered service despite the prototype chassis being complete by the end of WWII. 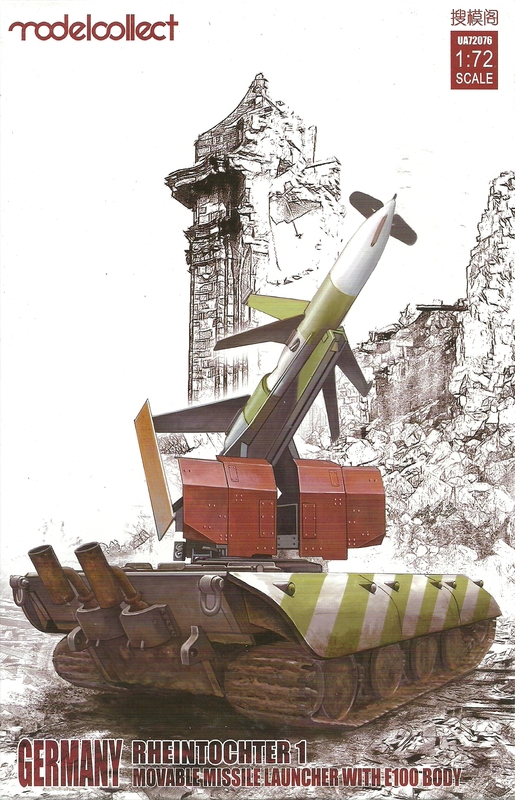 The Rheintochter-1 was developed from 1942 by Rheinmetall-Borsig as a surface-to-air missile. It carried a 300lb (136kg) warhead and was a multi stage solid fuel rocket.